Larry and Sons, Inc. was founded as Corbett Brothers Plumbing and Heating under the ownership of Larry T. and John C. Corbett in the early 1960’s. The brothers took pride in providing the area with quality residential and commercial plumbing, heating, and air conditioning services. 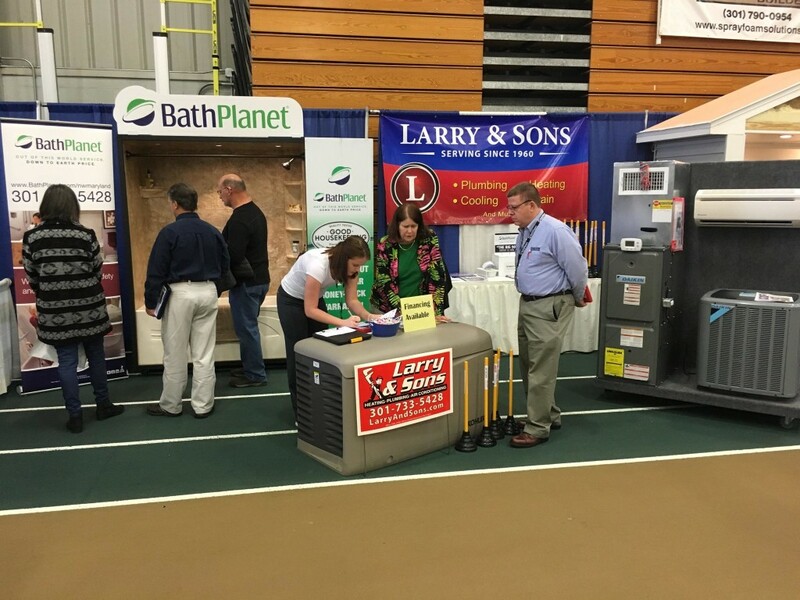 In the 1980’s, Larry Corbett became sole owner of the business and the name was changed to Larry’s Plumbing and Heating. Though the name changed, the quality service remained the same! Later in the 1980’s, Larry’s oldest son, Michael, joined the company, which allowed them to further expand the commercial customer base. In 1991, the youngest son, Eric, joined with Larry and Michael to form Larry and Sons, Inc. Larry’s expertise and strong work ethic has been passed on to the second generation! The company continued to expand and broaden its customer base. More space was needed for inventory and to provide the Hagerstown area with a comprehensive plumbing showroom. The company moved to its current location at 20 Hump Rd, Hagerstown, Maryland. The customer base has grown, but Larry and Sons, Inc. continues to provide the “small town” touch, that personal customer service which we all desire from those with whom we do business. Larry and Sons, Inc. currently employs more than 25 dedicated individuals. Positions held include fully trained customer service representatives, trained and professional service technicians, construction staff, and courteous and friendly office personnel. Our employees are dedicated to the customers served by Larry and Sons, Inc.
Larry and Sons, Inc. has been a part of the business community of the tri–state area for over 50 years! We are consistent and committed to the residents of our community and realize that our continued success depends upon the satisfaction of you, our loyal customers.